Greetings , this is the Guardian angels of God, we are here in great number. We are blessed to have been asked for this honor of love that we share with you today. We the guardian angel realm , assist ye in blessings daily. We are happy you are asking for a message of love and peace. We are happy to extend this to you. Our message to you is to lift up your heart to us now. Ask us in daily. Ask us in with the Archangels and know that we will all come every time you ask us. We are happy to bless you in this way. We are always with you dear beloved children of God and we are here to help you in all ways . Lift up your intentions to us also. We are happy to help you in every way we can, increasing your joy for we know that all would like to see you happiest. We can help with the Archangels and angels who are willing to assist you with your intentions. Every angel is willing to help, but some have unique and special gifts , that we use for this purpose: to serve you and to serve the kingdom of God, to increase peace and to help you in all ways. For instance, St. Raphael is a healing Archangel, while St. Michael is a protector Archangel. Your intentions will invoke the correct angels as we will see your intentions easily. You need only think your intentions to us and we will help accordingly in Heavenly ways. Lift up now, anything you would like to see us help with. You need only ask and we are happy to assist. Your own guardian angels are with you always and we are happy to help them and you in every way we can. For when the angels help, there is joy increased and we are happy to help you in this area of joy and love. Allow your heart to open now to the Realm of the Angels and ask us to assist you in [you can name a specific intention here]. Breathe deeply and ask for St. Michael to be with you, as well as the angels who love you. Notice the feeling of peace that accompanies this action. Ask us to assist you in any instance, you can call on us anytime you feel you would like to ask for our help; feel the presence of Heaven, feel the presence of love, increase peace around you and your loved ones. The angels are unlimited and we are happy to assist. for you are blessed. And so it is beloved, we will spend time with you in your heart. Ask for guidance, ask for love, ask for anything you wish. Love is an important part of being human. Love is what you were created with and love is what is eternal. Love is from the Heavenly Father and we will lift your heart. Lifting each cell around your heart., until your love overflows. allow us to shift your awareness to us, to the Realm of the Angels and you will notice the changes of peace this will bring daily. 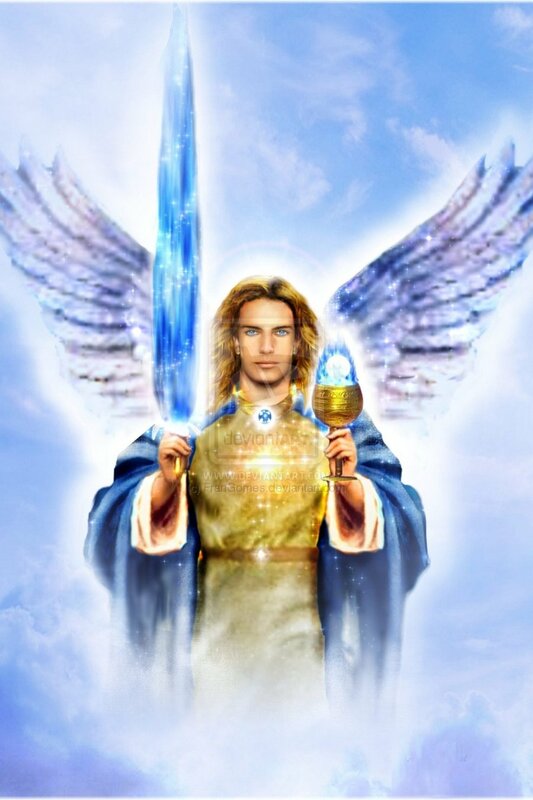 St. Michael will assist us now in opening your heart, and removing anything that feels heavy, negative or if you would simply like to feel the peace of the Angel Realm, then this is what will happen. State your intention and ask us in. We lift you and we bless you. We love you..and so it is amen, amen, amen. Greetings beloved all- Almsgiving is with God’s favor. This is an act of charity, from you for another person. Charitable works are holy and favored with God and Jesus both. These works are acts of love for another, usually those in need. All are in service to God and can involve charitable gifts of love or money, such as time spent with the elderly if their family is deceased. Loneliness can be helped by loving others around you. Charitable donations of money to those that are asking for assistance for them or their families, whether food donation or money, can increase their peace for feeding their families. Loving each other increases peace for everyone. We the angels who love you are happy to help you in any act of service to God for one another- helping is what you came here to do. To help shift, to love one another , to increase peace on Earth. Heaven is here to help many who are asking for assistance in all ways. Allow us to guide your charitable contributions loved ones. Allow us to help you if you are the one asking for assistance. We lift you beloved for asking, we lift you in love and cherish your willingness to ask for help from the angels. We the angels, who are with you always are always happy to help you whenever you ask us. We will help you shift your awareness to the Love of God, and know that all works of charitable acts of love are favored with the Lord. We will also help you shift your situation, beloved, to that of peace of needed. For those that are giving, we will guide you if you wish, for many are asking, and all will be helped by God Himself. Knowing that God loves charity, be willing to help those around you this day. For if you feel guided in your heart to help someone, be willing to ask God to help you understand how you can be of service to this person or family. Charitable acts do include giving of your service, donations, love, time, peace, counsel, and acts of goodwill. We shift your awareness to the Love of God, the love that is healing, the Holy Love of the Most High. Ask God to please guide you beloved, ask for God’s help in all matters, even in almsgiving. Ask for God’s help and with all things. Ask for His Love to pour through you at this time, asking God for HIs love always. Lift up any concern if you are asking for help, for your family and loved ones too. Ask for the Peace of God to bless you and your family. We cherish your almsgiving beloved, you are blessed. And so it is, amen, amen, amen. I wanted to ask the angels how we can increase the love within our hearts and the Cherubim also known as the “Romance Angels” would like to help each of us this message. “First be willing to let you heart be open. We are here with you beloved in great number. We the Cherubim are always available for you. We will help you increase the love within your hearts and help you open your hearts to greater love and harmony. If you are willing , we will now, gently we say, open your heart even brighter than it is now. First, ask for us to be with you, and notice the feeling of immediate peace as we surround you beloved. We will help you open your heart to God’s Love now. We will gently open your heart. This means, to help you understand, to open the heart to God. You are surrounded with many angels now. As we gently open the heart to God, we encourage you to sit silently and breathe. Close your eyes if you wish beloved, and imagine opening your heart to God. God loves you very much and so do we. We the Cherubim will help you now. Ask God for anything with sincerity. You are opening your heart to God’s Goodness and His Love for you, and this is a good thing. God loves to show His children how much He loves each of you. You are truly loved and you can access God’s Love now and always. For God always helps those who ask of Him. Lift up anything you wish, you can confide in God, asking Him for His assistance in anything beloved. God’s Goodness goes without measure and God understands the reason you are praying, He sees the reasons you are coming to Him and knows how you feel in your heart. Truly feel. God truly wants the best for you and for your family- for you are God’s family, all of you. For you are blessed and His Holy child beloved. Ask for us often. Ask for your guardian angels who love you. Ask for the beloved Archangels if you prefer. But ask. We are all here for you and your family. Beloved, imagine your heart now open to God, ask for His love to overflow within your heart, to overflow into your body, into every cell, and to others. Ask for the Love of God in every moment if you wish. But ask often. Daily. Making this a daily habit beloved will help you and your family always- and you will see your situations shift too ! As often as needed throughout your day. Lifting up your concerns to God the Most High. Silently thank God for all He has done and His Holy Love and Blessings, and when you are ready exclaim, Amen! Trust God with everything beloved. This help help and will change the outcome of your lives for the better! And now beloved, will help you now lift any stress, seeming fear or concern, worry or anything you may have felt previously from you, and it will be replaced with the brilliant Love of God- for this is God’s Holy Will. This will be assisted with the Archangels who love you. St. Michael is here now and is always available – as with any angel beloved. We are always with you. We are happy you asked and wait for you to ask for us often. 24/7 beloved. We surround your home now , and wherever you ask of us, such as your office or school or auditorium. We lift your surroundings also and we are here to help you always. And so it is. We the Cherubim love you very much and we bless you dear ones. We are happy to help. And so it is beloved, amen, amen, amen.